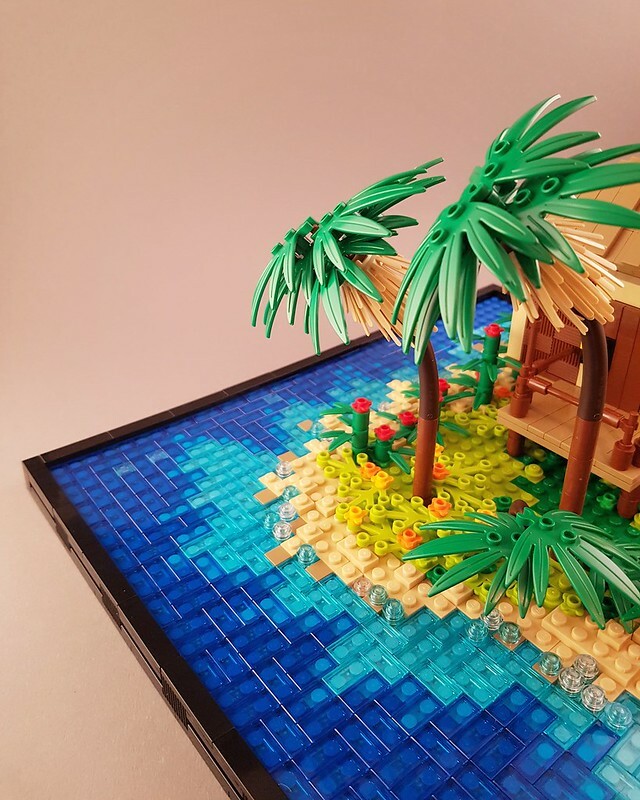 Though we’ve been attempting to spread the love here on Blocked Up and feature various creators, we have to once again feature one of our favorites, that being Sarah Beyer for her latest build of her Tropical Holiday Bungalow. The detail featured on the MOC is intricate, and the incisive use of pieces is accurate as can be. 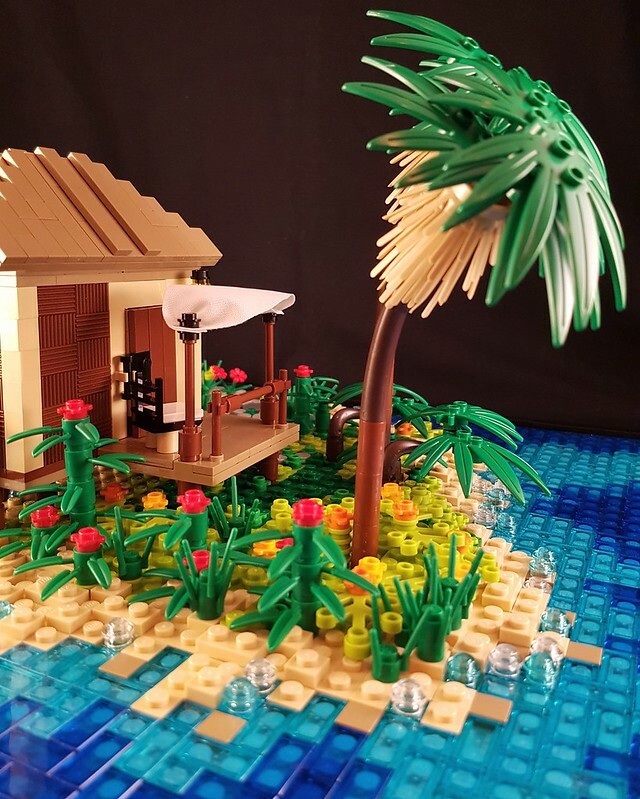 As someone who grew up in the tropics though, in Puerto Rico to be exact, its the entire feel of the whole MOC that just gets me. You can see yourself there, taking in the winds and allowing the waves to serenade your ears as you enjoy your timely vacation. If you wish view more of Beyer’s work, please follow her on Flickr and make sure to check up regularly on it, for she works hard at consistently putting out high quality and yet refreshing designs. Wow this is awesome thank you for following my blog! Please spread the word to other people. I will tell others about your blog too. You got it! Have a great day. Previous Previous post: The USS Marlin! Next Next post: LEGO STAR WARS 75179 ALTERNATIVE BUILD KYLO REN’S SHUTTLE!